What is a QuadLock - The QuadLock is a device that will let you tilt your tower all the way to the ground to work on your cubical quad antenna, rotator, or tower. It works by letting the quad loops swivel out of the way. When the tower is in the operational position the elements are locked into position. The locking mechanism is powered by gravity. (no cables, bolts or climbing required). Click here or scroll down to see an animated sequence where the tower is tilted from the operational position to the maintenance position. 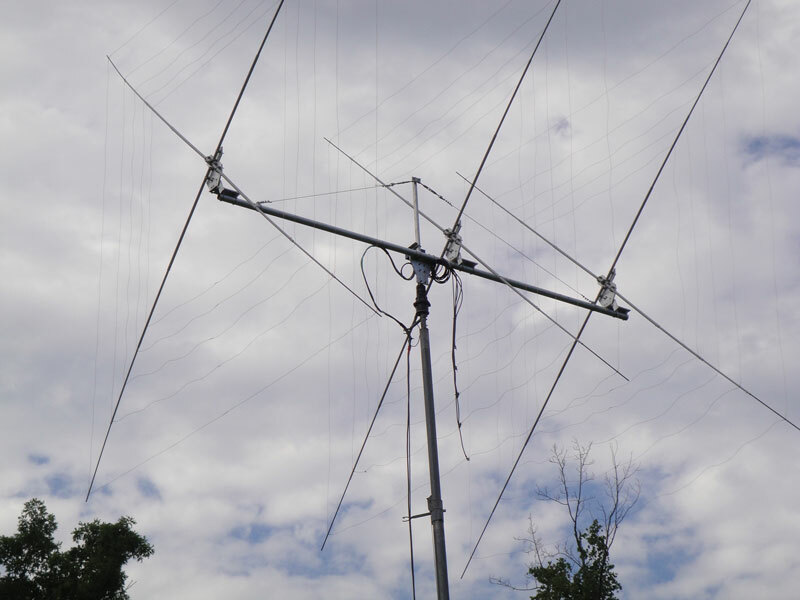 The cubical Quad is an excellent HF antenna but maintenance and safety can be a concern. Click here for some of the pros and cons of quad antennas. 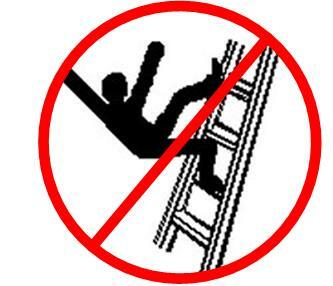 Safety - Have you thought about getting a quad but don't want to work on it from the top of a 16 foot ladder? Cost - Do you have to rent a bucket truck to make an a repair or adjustment? Convienience - Do you have a quad on a tiltover tower but still can't get at the antenna, rotator, or work on the tower because you can't tilt the tower all the way over? The typical quad has 2 or more elements. Each element consists of a wire loop mounted on a hub & pole arrangement that slides over the boom. Each element pole can be 13 to 16 feet long. The "cubical" shape prevents a tiltover tower from being lowered all the way to the ground. Warning -- Tower and antenna work can be dangerous. Working from the ground helps reduce the risk but every installation is different. The user is responsible for the application and adhering to good engineering and safety practices. There are no other warranties express or implied. Order the appropriate number of QuadLocks needed, one for each element. See the Overlap Option section below to decide on the number of LEFT, and RIGHT units for your application. Each QuadLock is $425 each plus shipping and handling. Shipping and Handling cost is based on the number of units. Note: shipping costs are for delivery within the continental United States and vary by zone Contact me for the shipping surcharge to Alaska, Hawaii, Canada and international shipping costs. An invoice will be sent to you via PayPal. You don't have to have a PayPal account and can use your Credit Card. You can also pay with a check if your prefer. Just let me know and I'll include the mailing information for the check. End view showing u-bolts for element poles. Element Pole U-bolts for 1-2 inch poles. Option to use either 2 or 4 element poles per element plate. The poles can cross on the QuadLock which is not possible with typical hubs. The QuadLock can be configured for element left or element right. The QuadLock mount can extend the element beyond the end of the boom (by up to 4 inches) if desired. Supports element loops weighing up to 100 lbs. In the operational position the element plate is locked into position by the "lock." See figure 1. For maintenance the tower is tilted over and the element lock will disengage by gravity as the tower is lowered. The elements are held in position by gravity and the spring loaded rollers. When the tower is lowered to the point where you can reach the elements, swivel them out of the way and toward being parallel with the boom. The spring loaded plunger will hold the elements in the swiveled position. The elements can be turned further than shown here and until they are almost parallel with the boom. Continue lowering the tower until it is horizontal and you have access to all points of the antenna and tower. This example shows a 3 element QUAD with 1 LEFT and 2 RIGHT QuadLocks. This example shows a 4 element QUAD with 1 LEFT and 3 RIGHT QuadLocks. 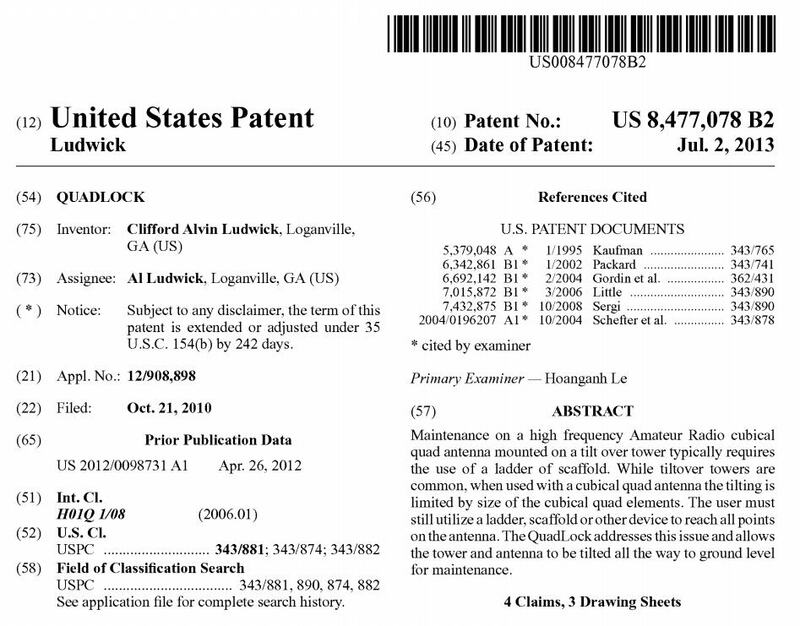 Total cost for the 3el Quad antenna is about $2,100 (which includes the cost of the 3 QuadLocks). This is about 30% less than the $3,200 cost of the 4el SteppIR and TiltPlate it replaced. Close up below showing the 3 elements mounted on LEFT QuadLocks using the OVERLAP option. QuadLock in action, a 3 minute movie showing the NN4ZZ Cubex Mark III being raised from ground level to operating position. Two versions, same movie. 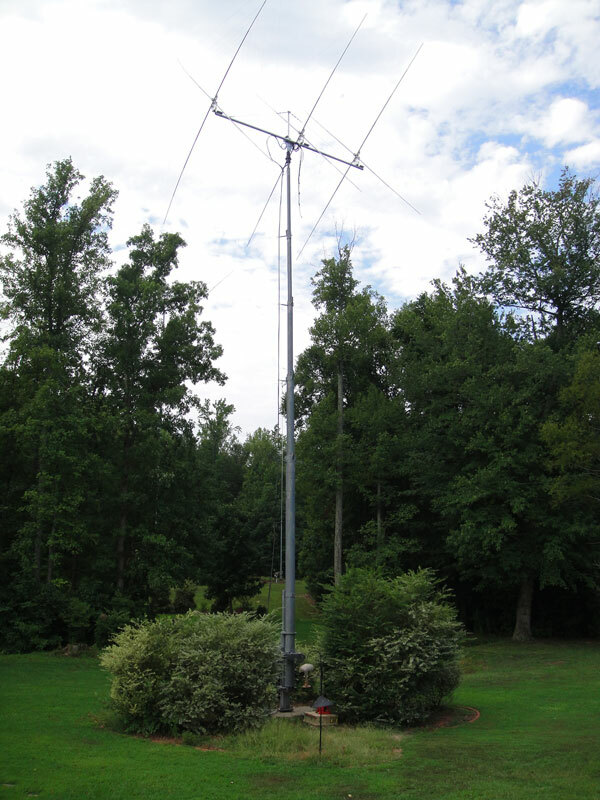 Lower Antenna Height - A two-element, three-band quad at 35 feet above ground can be comparable to a Yagi at 60-70 feet. Lower Angle Radiation - Quads "open the band earlier", which suggests that they exhibit a lower angle of radiation than Yagis. 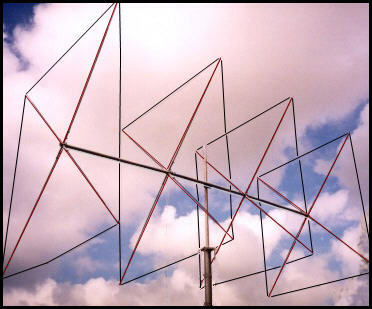 Quieter to RF Noise - Quads are often reported to be quieter compared to a yagi. More maintenance - The quad has a reputation for mechanical failures due to icing and high winds. This may be un-deserved today when you consider commercial products like the new Cubex quads. Cubex has addressed the reliability issues with new and better designs and stronger components. But regardless, maintenance would not as much of a concern if it was easy, safe, and inexpensive to work on your quad from the ground. Harder to work on - The cubical shape of the quad makes it hard to lower the antenna or tower to ground level. It can't be lowered all the way to the ground even if mounted on a tiltover tower. This usually means working from a tall ladder or renting a bucket truck ($$$). Safety - It is always safer if you can work on your antenna, tower, and rotator from the ground. A fall can be expensive and ruin your day. Q - What are the 3 main benefits of a QuadLock? A - Number one is safety. No more climbing a 16 foot ladder to reach any part of your antenna or tower. Number two is convenience. You can single handedly lower your antenna from it's normal operating position to ground level for maintenance in a matter of minutes. Number three is protection in a storm. If you know you will have high winds (e.g. a Hurricane) or an ice storm, you can lay your tower and antenna down at ground level and tie it off. Q - What were the design considerations for the QuadLock? A - The design focuses on strength, quality, and durability while still using light weight materials when appropriate. All of the hardware is stainless steel to withstand years of exposure to the elements. The QuadLock uses high quality U-bolts from DX Engineering. The plates are 6061 aluminum and machined on a CNC for dimensional accuracy. The QuadLock is designed to protect your antenna investment and provide convenience and safety for you. Q - A pair of QuadLocks costs almost as much as my antenna, why so much? A - The material, machining and stainless steel parts make up most of the cost. The u-bolts cost over $120. The other parts and hardware are all heavy duty quality items and there is very little margin. 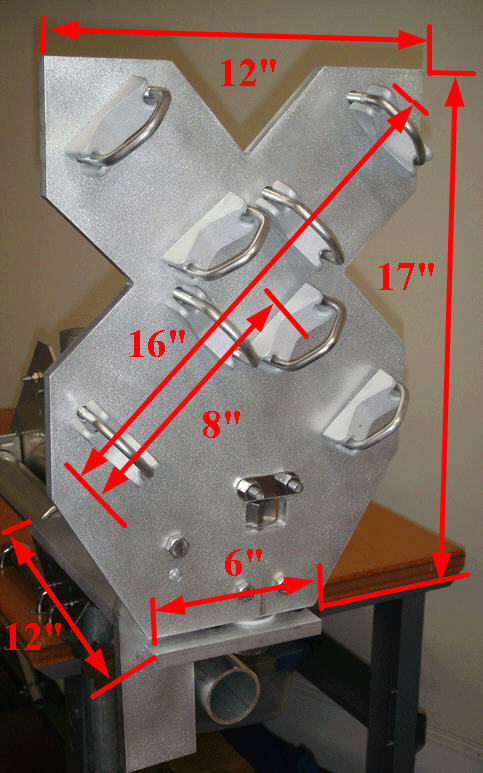 When you consider a complete antenna and tiltover tower system can exceed $10,000, the added cost for the safety and convenience of the QuadLock is put in perspective. Q - What type of U-Bolts are used? Q - Can I use 2 long poles instead of 4 poles for the elements? A - The u-bolts for one of the poles can be flipped over to the other side of the element plate. You can't do this with the typical quad hub. This allows you to use a single longer spreader or join 2 spreaders in the center. For large 40M Quads with spreaders about 50 feet long this is the preferred method. In addition the spreaders engage all 4 ubolts over a wider distance for more support. Note: 2 inch tubing is used in this picture to illustrate. For example: A 40M quad could use two 26 foot 1.75 inch spreaders and join them at the center with a 2 inch overlapping tube. This would provide a very strong connection and provide the equivalent of a 52 foot spreader. Q - How did the QuadLock idea originate? A - I've been selling the TiltPlate for yagi antennas for several years. Quad owners asked if there is anything like a TiltPlate for quads. After some time working on this problem, I developed the QuadLock. Q - Can I build the elements right on the boom and at ground level? A - Yes, you can either build the elements and then mount them to the boom or install the QuadLock on the boom and build them in place. Q - How long does it take to fufill my order? A - QuadLocks will generally ship within a week of ordering. Partially built units are in stock ready for final configuration. See shop pictures below. Q - Do you sell complete Quad antennas? A - No, I don't sell antennas. 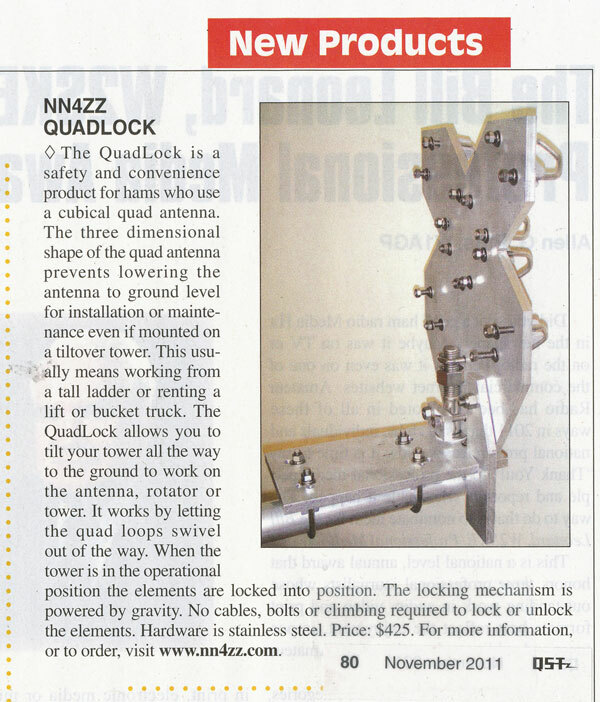 The QuadLock can be used to retrofit to an existing antenna or used on a new one you purchase or build. While I don't have any financial connection to Cubex, I have worked with Roger / WB8NDC on several projects and recommend his products. Q - How does the payment process work? Is my credit card information safe? A - The on line payment process is handled thru PayPal. You can use your credit card or PayPal account (if you have one). But you don't need to have a paypal account to use the "buy now" button. Your credit card information is NOT provided to me from PayPal. If you would prefer you can send me a check. Please eMail me for details. The on-line process is faster but either way is fine. Q - How will my QuadLock be shipped? A) The QuadLocks are securely bubble wrapped, boxed and shipped via UPS domestically. You will receive an email with your tracking number and can expect delivery in 3-5 days in the lower 48 states. 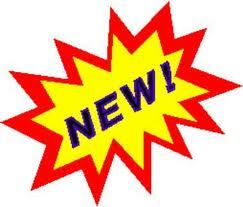 We also ship to Alaska, Hawaii, and Canada, but the rates are slightly higher. Please email me for the rates to your location. See below for international shipping. Q - What about International shipping? A - International shipping rates vary considerably. The rate to Europe can vary between $100 to $300. The rates to the middle east or Australia for example can be up to $400. Generally USPS Priority mail is less expensive to Europe and other countries. Please email me for the rates to your location. A proforma invoice will be provided to help with customs pickup. Please be sure to include your PHONE NUMBER when ordering as this is needed for the CP-72 USPS customs form. Q - What if I live in the Atlanta area or want to pick it up instead of having it shipped? A - No problem, I'll refund the shipping and packaging cost when you pick it up. Stainless hardware, U-bolts, plates and tools. Parts are used for both QuadLocks and TiltPlates. Machined QuadLock plates in the rack at right.